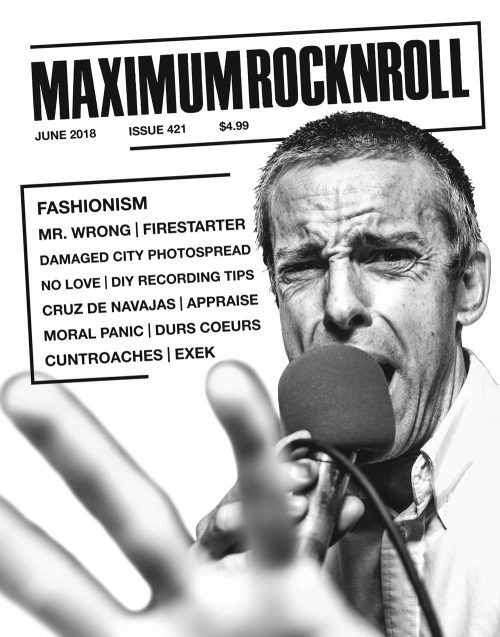 Another illustrious issue of Maximum Rocknroll hits the streets! 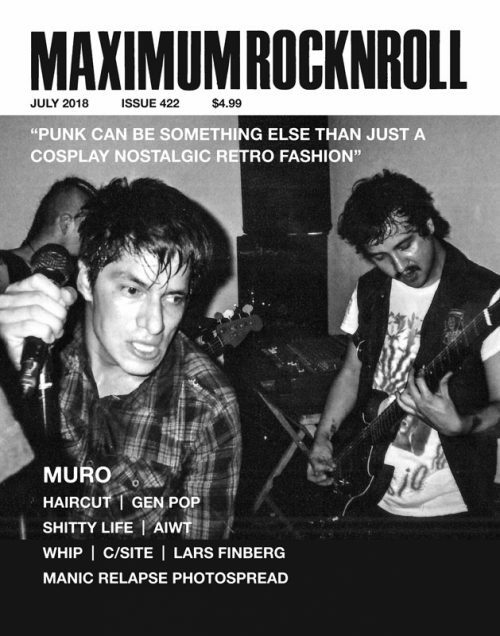 In MRR #363, the August 2013 issue, we have tons of great interviews including SUDOR from Toledo, Spain, discussing their recent US tour and punk in their corner of the world. The epic TERVEET KÄDET from Finland gives us the details on the band’s evolution and recent activity, and the ladies from LAS OTRAS discuss punk politics and their local Barcelona scene. We talk with the folks at Toinen Vaihtoehto, one of the longest running punk zines in the world, about the inner workings and history of their classic Finnish publication, and Japan’s BLACK AND WHITE gives us a quick interview about their recent activities. 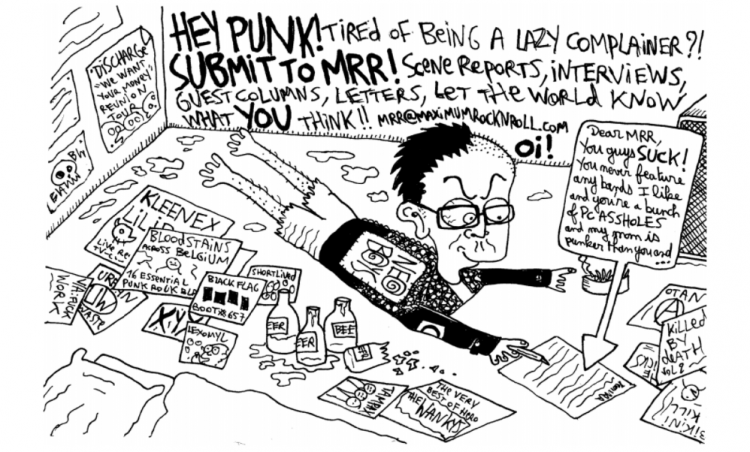 We’ve got Bay Area punk noise merchants STILLSUIT, Bay Area weirdo/freak/queer/punk zine Baitline!! !, punk veteran and unsung hero Taquila Mockingbird delivering some insight and history of early L.A. punk, and Punk magazine’s John Holmstrom talks about the late punk artist Arturo Vega and his history with the most famous punk band in the world. RUINED FAMILIES from Athens, Greece talk about their punk scene and the state of their surroundings; Bi-coastal assault R.O.T.T.E.R. discusses their sounds, scenes and inspiration; San Jose, CA’s NO MISTAKE talks about their brand of USHC; and four-piece Vancouver punk outfit SIREN SONGS discusses all things Canadian punk. To top it all off we have a Yorba Linda, CA scene report, guest columns from Luke Haas of Tian An Men 89 Records and Christina from Australia’s Stitches in My Head zine, photo spreads from Steven Rudd at Chaos in Tejas and Ian Absurdo from ABSURDO’s US tour, all the zine, demo, books reviews you want and the most extensive punk review section of all time!